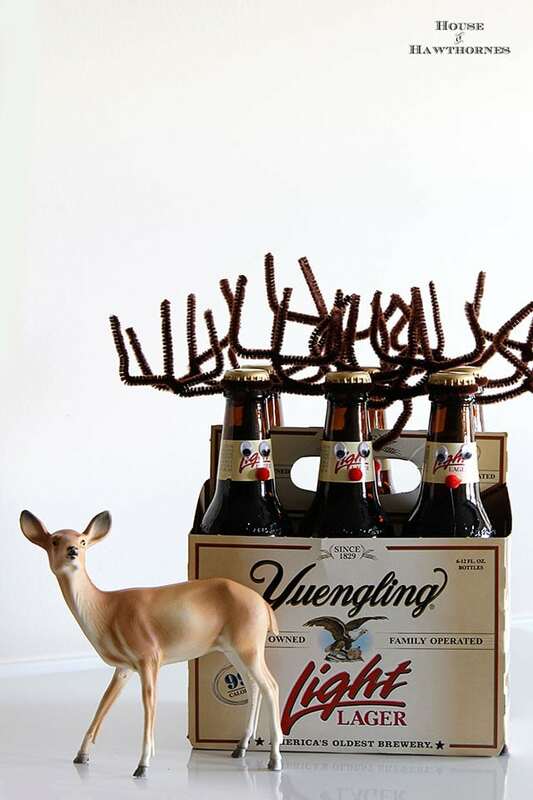 Seriously, if I may toot my own horn, are these not the cutest idea for bottled beverages for Christmas? 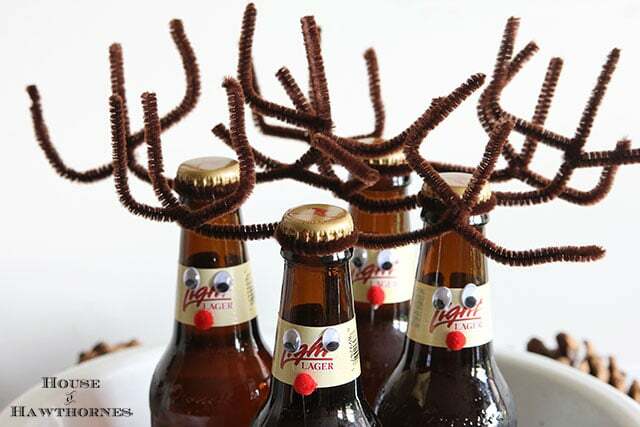 Just some googly eyes, red pom poms and brown pipe cleaners (all found within two feet of each other at JoAnn Fabrics) and you’re in the reinBEER business. 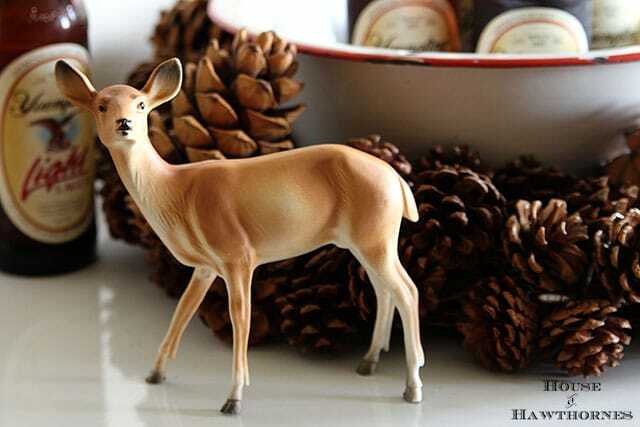 You can also take them to the neighbor’s house as a hostess gift. So much better than bringing a stale old fruitcake. 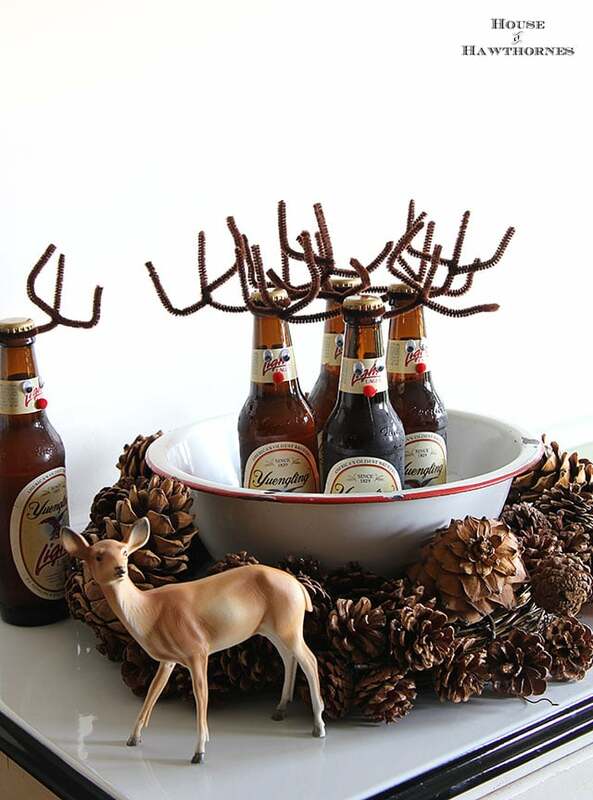 When I made these for my Christmas party, I was pleasantly surprised that no one poked their eyes out with the antlers. I consider that to be a bonus. No eye injuries is a bonus and these are darling. I do not drink beer but I am looking into mimosas (I have no clue what is in them) for brunch. Might make the day more jolly. That is too funny! I’m emailing this idea to one of my daughters. I’m not a beer drinker, but boy are these cute. I love easy ideas like this! SO cute, Pam! 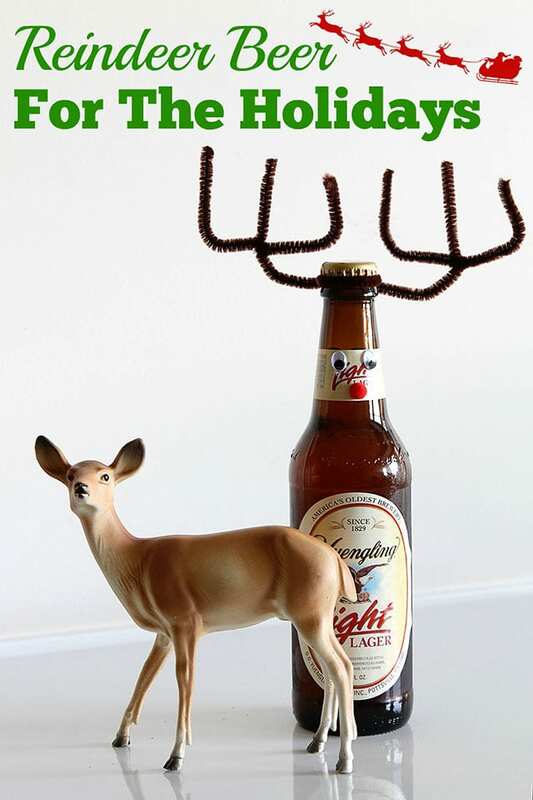 Sure would add to the festivities! Squeal!!! I’m totally doing this. Who would have thought of this ??? thinks it real cute ?? Simple and clever I love it! What a great idea for the brewery crowd! I was going to make some with bottled root beer and those little bottles of Coke (with Santa on the bottles) for the kids, but my husband ended up buying canned pops for the kids. Something about not wanting them to break the bottles and cut themselves. I was scrolling down looking at all your Christmas decorations. The silver snowman I love. Everything looks so festive. I hope you’re enjoying the season as much as I am. AWESOME idea. They look so cute and festive. ReinBeer it is. Just as long as you wear your safety glasses when drinking- wouldn’t want to have to explain that in the ER. Cute! There’s a lot of cool ideas on Pinterest. Some are just plain silly, but these bottles are clever and simple! Awesome idea! I wish I’d seen this sooner! I can’t believe I haven’t seen this on your blog before, Pam! They are just adorable!